With tablets inching its way in replacing the laptops as a mobile computing device, it’s inevitable to ask the tablet-universe denizens on what they use their devices for. Good thing Google’s AdMob was up to the task as they polled tablet-owners in the U.S. on what they were doing on the devices. Is it for checking e-mails? 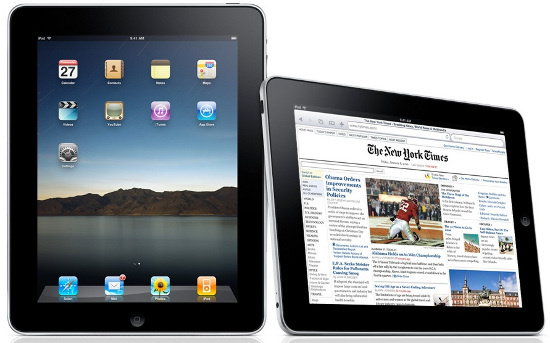 Reading the digital newspapers, shopping online, playing games? Well, the results definitely left a lot of people stagger as it seems the tablet is not only here to clash against the laptops, but most likely against the handheld gaming consoles as well (no surprise there, folks). 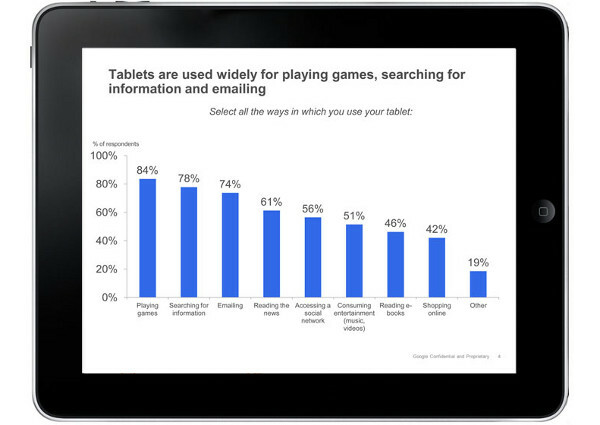 Out of the 1,400 tablet device owners polled, 84% replied that they use the tablets for gaming on the go, beating the should-have-been-obvious-winners of searching for information, which banked 78%, emailing with 74% and reading the news with 61%.